These are decent Jean's for the price. They have the stretch material so they are comfortable. They fit true to size and are s nice dark color. 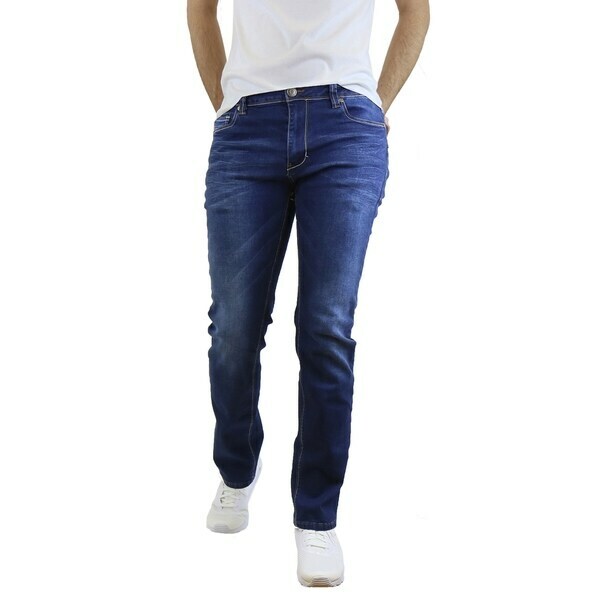 Jeans are high quality and great design! I want more !They fit perfect, the zippier works well! Look great and feel great! Have already had a lot of complements! "How do you tell the size? Waist? Inseam? All I see are (ex: 30”-30”). No indication of which is waist or inseam." Waist is first #, length is second.